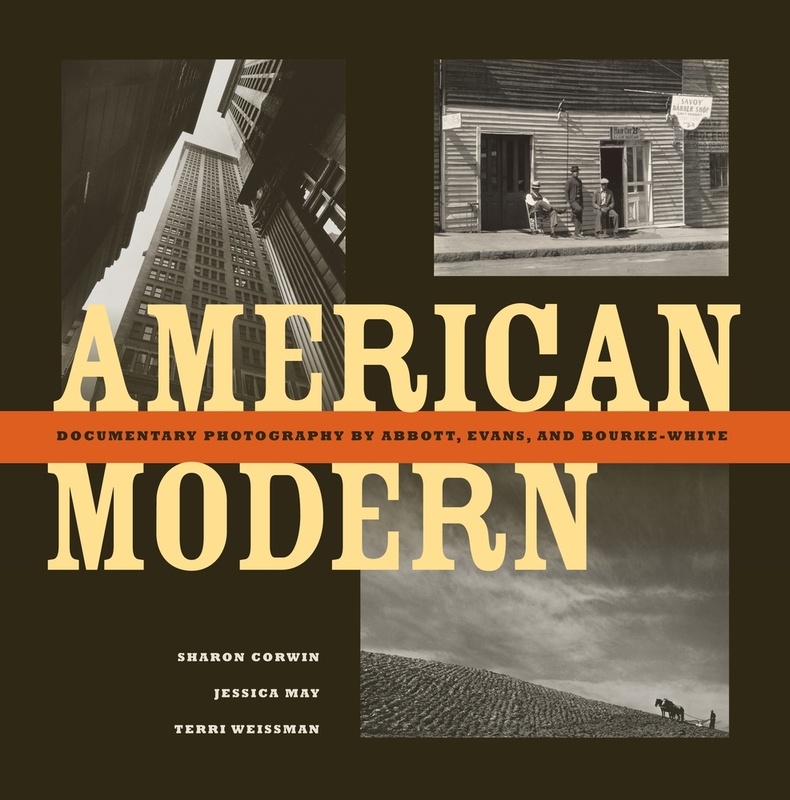 American Modern, the beautifully illustrated companion volume to the exhibit of the same name, explores the reinvention of documentary photography in the 1930s, focusing on the work of three iconic figures: Berenice Abbott, Walker Evans, and Margaret Bourke-White. More broadly, the book maps the formation of what we now identify as “documentary style,” showing how a marginalized genre associated with Progressive reform politics was transformed into a major component of modern art and public culture in America. The essays by Sharon Corwin, Jessica May, and Terri Weissman describe how each of these three photographers developed a different model of photography--as well as a particular understanding of modernism and modernity--which each believed would set the standard for future generations of artists. American Modern identifies the points where Abbott, Evans, and Bourke-White connected, diverged, and competed, and demonstrates how commercial and governmental commissions, the influence of mass media, the establishment of public institutions of modern art, and international theories of photography all intersected to establish the now-dominant documentary style. Sharon Corwin, Carolyn Muzzy Director and Chief Curator at the Colby College Museum of Art, contributed to Alex Katz: Collages and Terry Winters: Prints and Sequences. Jessica May is Assistant Curator of Photographs at the Amon Carter Museum. Terri Weissman is Assistant Professor in the Department of Art & Design at the University of Illinois at Urbana-Champaign and is the author of The Realisms of Berenice Abbott, forthcoming from UC Press.